He, inspired by Jonathan Livingston Seagull, written by Richard Bach, is always flying high and dedicated to soaring to great heights, but he still has greater heights to reach. In his soaring, he has acquired two technician degrees Computer Systems and Social Communication. Soaring even further with a university degree in Psychology and is certified as a Radio announcer/host type "B"". 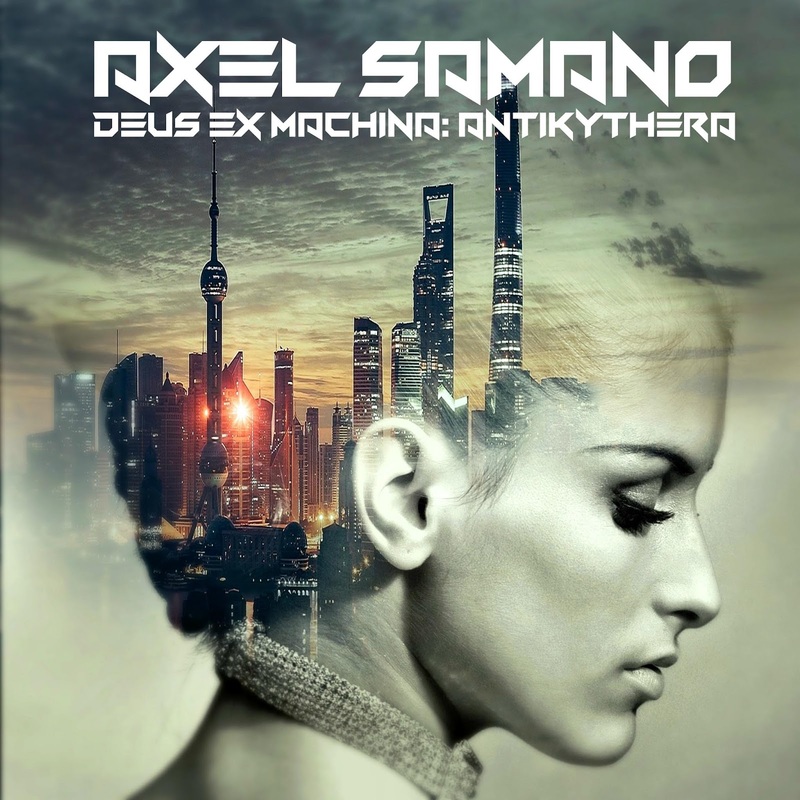 To describe Axel Samano's work is a very complex task. The double CD Deux Ex Machina presents to the public two parallel visions of Axel: Deus Ex Machina: Antikythera is a CD where the listener will enjoy several musical genres such as EDM, EBM, Synth-pop, Future-pop and Rock. Each musical theme describes the impersonal experiences of Axel Samano. The first track “In the End” describes the tragic history—inspired by an actual event that happened close to him—of a woman in love with a man who for more than thirty years made her life impossible until he died. On the other hand “A Matter of Time” tells the beautiful story of one of his woman friends who had the joy of knowing a man she was madly in love with and whose love was reciprocated; however, many years later her husband forgot her completely when he was suffering with dementia. Not everything is love and tenderness in the disc. Some songs strongly criticize social biases. For example, “Wanderland” criticizes a society that justifies fear and personal hatred of a God who, according to them, is all love, but at the same time holds grudges. “The Hunter” describes the love between a man who decides to dress as a woman and courts another man without knowing what the destiny will bring. And what about “Power and Glory”, one of the tracks that has received more ovations from the critics than any other, due to its energetic rhythm and a controversial theme about the wars between nations. Not only that, but this disc has 18 tracks in English and 9 in Spanish.